or for additional help on the products we carry. 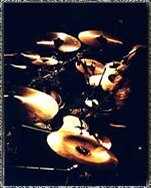 Over 20 years in the drum business! You can get just about everything from our site. We have Custom Saluda Cymbals, Custom Drum parts, a wide selection of Soda City drum shells and super thick snare drum shells. We also have cymbal services, such as cutting cymbals down, adding hand hammering and much more! Take a look around and give us an email or phone call if you have any questions. All Saluda Cymbals come with a Lifetime Warranty against small edge cracks, up to 1/2"!!! Check out the wide range of Saluda cymbals. These come in some amazing finishes and they are just as good as any other cymbal on the market. You can even tell us how you want them to sound. You are buying direct so enjoy the big savings! If you don't see it, ask for it! 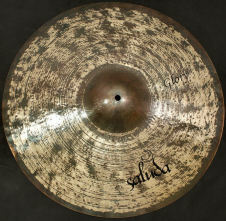 Saluda can also offer custom stacks, reverse chinas, sizzle rides, speed hats, curvagon cymbals, bells and much more. It's time to to make the Saluda Switch! us to get dealer pricing. We offer standard 1/4" thick, ply shells for snares, toms, floor toms and bass drums. Need more volume and sensitivity for your snare drum? We offer 1/2", 3/4" and 1" thick snare drum shells. Only few companies can offer super thick drum shells. Let us get even more custom and build you a full shell pack in 1/2" thick drum shells!! 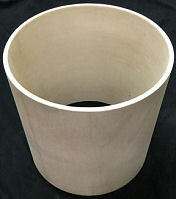 We can also add reinforcement rings and drilling to any drum shell. All our shell prices include bearing edges and snare beds. We always have a wide variety of drum and cymbal items (new and used) listed on our Ebay's auctions. A lot of our drum gear bypasses our site and goes straight to Our Ebay Auctions. Check these auctions often; you can get some great deals. We carry a wide range of drum parts and drum shells for all your "do it yourself drum building". We also cater to custom drum builders; check our drum services and specialty shells. Do you have used/old cymbals, drums and other drum related items that you are looking to trade in? We can even take in cracked cymbals!! Take advantage of our trade in program to get custom Saluda Cymbals, drum shells, drum parts, etc. You can trade in drum items you don't use and help get your custom drum company started. 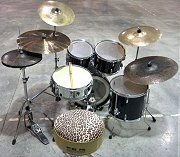 Let Drum Gear Online help! We update and add new listings a few times each week so check them often. Copyright © Since 1997 Drum Gear Online - All Rights Reserved. This site is best viewed w/the latest IE as well as the latest Flash Player.